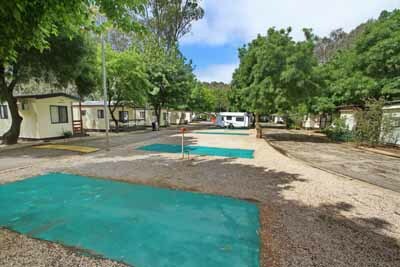 All of our accommodation is nestled with in the beautiful manicured gardens of the Caravan Park. 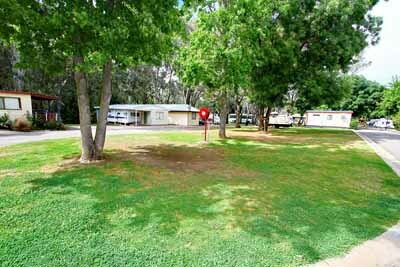 Located close to caravan and camping sites and all not a long distance from the parks facilities. These Large family cottages are perfect for the family or couples getting away. They have all the comforts of home with an open plan kictchen and living area that spread onto a small undercover veranda opening onto a large grassed area. Each Cottage contains one queen bedroom and a second bedroom with a trio bunk with single bed at the top and double down the bottom. 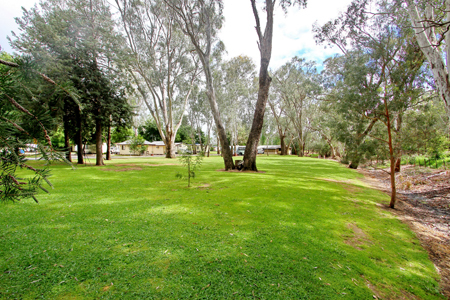 We have one family cottage available that features a second bedroom with two set of bunk beds (4 beds in total). All other features are the same as our 2 bedroom cottages it has just created to cater for the larger family. Once again linen is not supplied for the second bedroom but can be hired from the office for a small fee. 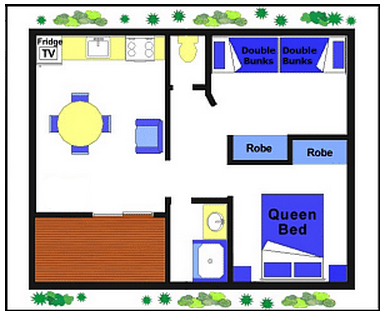 We have one Deluxe cabin that features one double bed in one room and a queen bed in another room. This is perfect for workers or couples traveling together. Our Double Deluxe Cabin has all of the features of our Family Deluxe Cabins. These fantastic open plan cabins are perfect for the traveler, worker in the area of family looking for the affordable holiday. With a large double bed situated in the corner of this open plan cabin there is a great size kitchenette with table and chairs and couch. There is a bedroom with two bunks and a separate bathroom. Please note that the double bed is made up with all bedding and linen provided. The second bedroom however will require bed linen and towels to be supplied. This can be hired from the office at a small fee. We also have three Family Ensuite Cabins that features a bedroom with a triple bunk bed along with a double bed in the open plan living area. 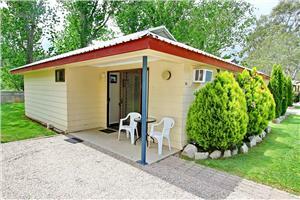 Once again this Family Ensuite Cabin has all of the features of out other Ensuite Cabins. Linen is not supplied for the bunk beds but can be hired from the office for a small fee. We also have grass sites and gravelled sites with mats.